It seems like every year I put out a new gift guide for the holiday. Last year I made a list of really unique gifts for the crazy chicken lady. The Christmas before I found a bunch of really awesome gifts for the chicken lover. So this year I decided to write a gift guide for the chickens themselves! We don't forget our furry pets on important holidays, why forget out feathered friends? Chickens are pretty easy to buy for, after all they're happy when they have a comfy dry coop, treats and some space to spread their wings. 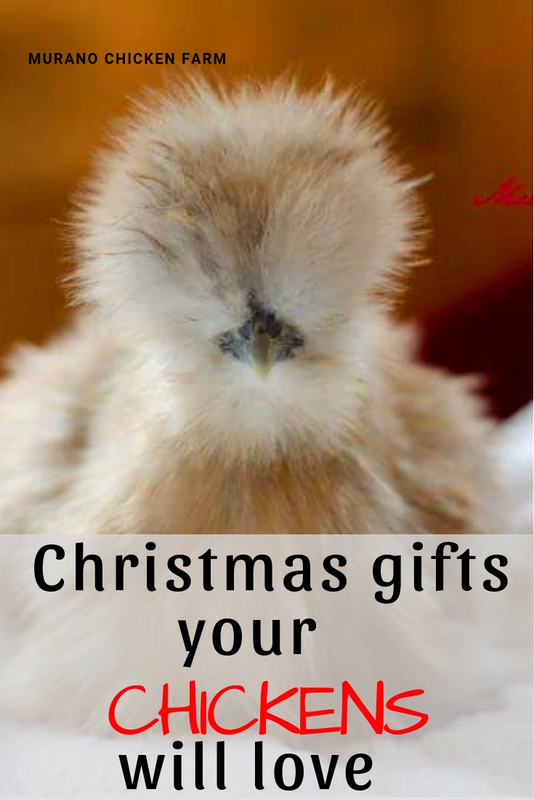 So what can you get to make your chickens feel extra loved during the holiday season? Well, yummy treats and fun things to do of course! Swing: Maybe I just like saying Uncle Dunkles swinging chicken roost, but this is a really fun idea for your chicken run! This is an awesome boredom buster for your chickens (if they'll use it....the verdict is still out because some just wont!) This is the most affordable version on the market, although you could just make your own chicken swing. I don't think the chickens are picky! Coop decorations: Your chickens can get in the spirit of the season too! Make Christmas stockings out of feed bags to decorate the coop. Find some awesome metal coop signs on Amazon or at the feed store (Tractor Supply Co has a bunch of these!) I found this adorable light up chick at Walmart....they don't have it online but it is in their stores. Happy shopping! Water heater: Live in a cold climate? Save yourself some work and guarantee the chickens always have fresh water with a new heated water fountain or electric dog bowl. Don't forget a special pan for underneath it to protect your coop floor! Curtains: Spruce up your coop and give the chickens a little privacy at the same time! Lisa from Fresh Eggs Daily shows you how with curtains on the nest boxes. Nest box curtains would be real cute and festive in a holiday pattern. Or buy some curtains for the coop window in a cute chicken print. Nest box herb mixes: Make your nesting boxes smell lovely with a blend of herbs like rose, chamomile and lemongrass. Many chicken keepers make their own blends or you can buy them pre-made on amazon. Just sprinkle a little bit in each nest box every few days to keep things fresh! Treat basket/ball: Purchase a simple metal basket from the dollar store to hang up for your chickens. 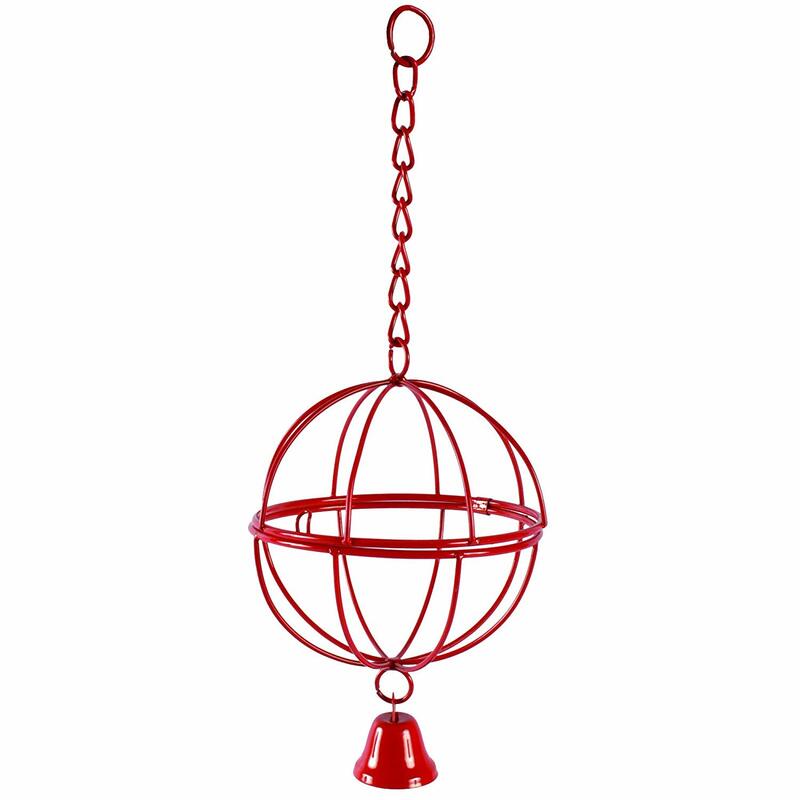 Fill with treats and watch the chickens go crazy trying to get them out! Get them a treat ball big enough for a whole head of lettuce, or this smaller treat ball with a little bell under it. Just stuff with veggies and hang in the coop for a special holiday treat. Garland: Decorate your chickens run with a homemade garland made of fresh veggies. Check out the instructions on Countryside Daily. Decorative, pretty and tasty! Meal worms: High in protein and iron, mealworms are a chicken favorite! You can buy them at feed stores or online. They come in small containers of really huge packages that should last a long long time! Whichever you chose, dried meal worms are always a hit with chickens. 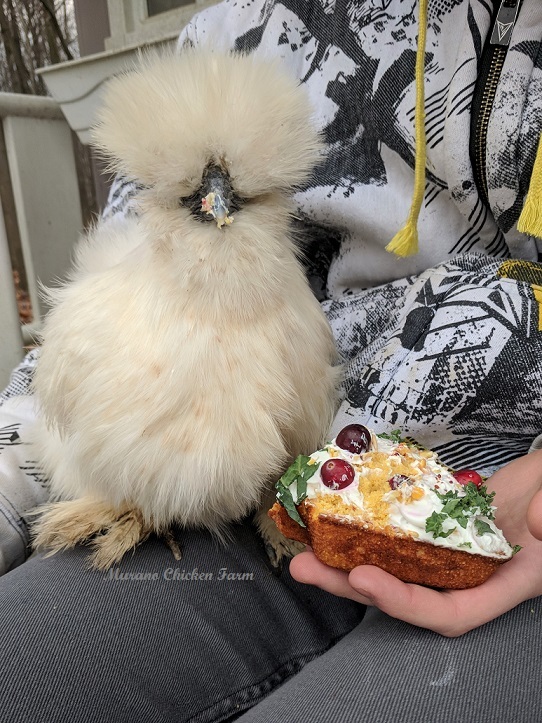 Suet cakes: Make simple "suet" cakes from a mix of lard, coconut oil or bacon grease and different types of seeds or treats the chickens like. Use whatever size pan you'd like, from large to cupcake sized! These are great boredom busters for bad weather days when the flock can't come out to play. Complete instruction are here. Christmas treat cake: This one may be a bit silly, but I made my chickens a Christmas tree cake last year! The complete instructions are here, but I can sum it up for you. Cornbread cake with a few 'good for them' ingredients like pumpkin puree subbed into the recipe. Ice the cake with yogurt and decorate with the flocks favorite treats! Well, there you have it...all the things my flock wants for Christmas! What is your flock getting for the holidays?